Gold Reserves are a nation’s assets in gold that is held or controlled by the central bank of that country and it is representative of the country’s store of value. Gold reserves are also deemed as a guarantee that the government will be able to make good on its promises to pay depositors or trading partners and in some instances to even secure a particular currency. According to numerous reports the total estimated gold that has been mined up to 2011 is approximately 172,000 tonnes making the total value of all the gold combined close to 8 trillion dollars. These figures are however vague approximates and based on gold that has been declared openly. Other reasons that make it difficult to derive a more accurate estimate is due to the fact that gold has been mined for thousands of years and to make matters worse, some countries are not too open about the total amount of gold that they mine within their borders and illegally mined gold is almost never accounted for. Throughout most of civilised human history one of the key financial assets of a country was its gold reserves which were also considered as a prize of war. The fact that gold was considered a key factor towards the economic stability of the country, keeping the gold safe was of utmost importance, which is why many countries choose to store their gold in foreign nations to keep the gold reserves safe. For instance at the beginning of World War II, Belgium and Holland had intentions to store their gold in New York, however due to logistical problems due to war time conditions, the gold was transferred to Dakar (Capital of Senegal) instead, however when these Belgium and France were indeed invaded by the Germans, the Germans demanded the Belgian gold reserves back and Senegal complied by making arrangements to transport the gold reserves back to the German Reichsbank. During the Cold War most nations transported most of their gold reserves from mainland Europe to the US due to fears of an invasion by the Russians, however now that the Cold War has gone ‘cold’ nations have been making arrangements to repatriate their gold back from America (Histclo, 2012) and (Scrapbook Pages, 2012). Based on the latest data released by the World Gold Council, the gold reserves of Russia, China, Germany, Turkey, Italy and India have increased significantly whereas France, Portugal, UK, Netherlands and Switzerland have been ‘unloading’ their gold reserves into the markets. Over the last decade many countries have made arrangements to repatriate gold that has been stored outside their borders as mistrust in foreign nations being custodians of gold continues to grow. The United States of America has been the focal point of this mistrust due to the recent incidence involving Germany’s request for their gold reserves held in New York to be repatriated back to Frankfurt. The US Feds however were either unable or did not want to comply to this request creating a furore that has made a number of nations anxious about their gold reserves held by the US. There were numerous reasons as to why foreign nations chose to store their gold assets in the Federal Reserve Bank of New York, the primary reason was due to the fact that during World War II Nazi Germany seized all the gold that they could get their hands on from the governments, banks and citizens of the nations that they invaded this caused vulnerable countries that were on Germany’s ‘conquest path’ shipped their gold reserves to the US for safe keeping and immediately after the end of the 2nd World War the immediate threat of the USSR advocated keeping the gold reserves on US soil. Another reason was due to the Bretton Woods System which made the US dollar as the world reserve currency that was backed by gold and due to this fact it was simply a matter of convenience to store gold in New York to facilitate trade settlements effectively and efficiently. 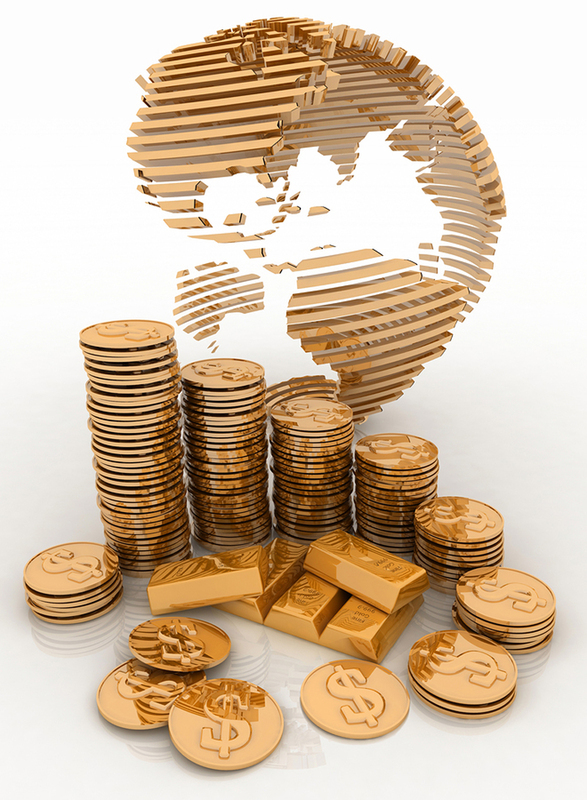 However after the global financial meltdown in between 2007 – 2008 that stemmed from US subprime mortgages governments began to realize the importance of having gold as a foundation for the monetary system prompting European banks to cease the sale of gold and gold related assets whereas countries from Asia, South America and Eastern Europe increased their gold reserves. 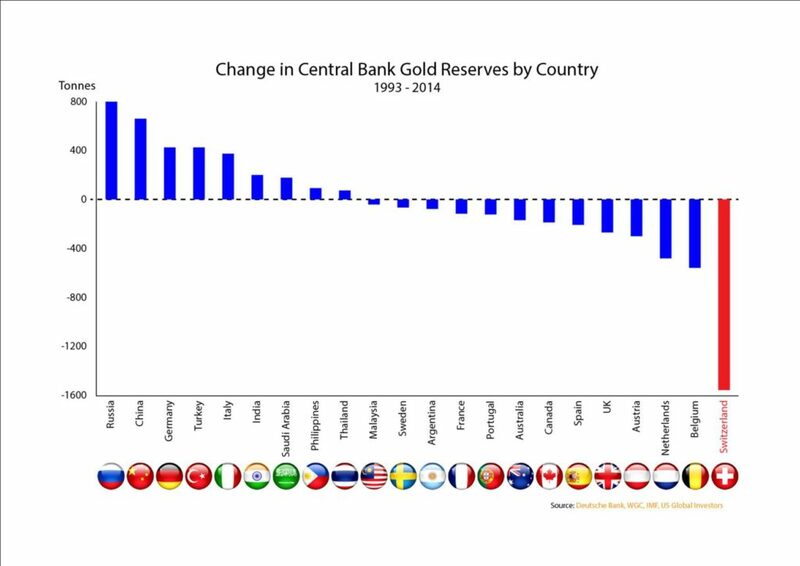 Central banks have since started to re-evaluate the viability of keeping gold reserves on foreign shores and rumours of the US Feds selling a significant quantity of gold reserves that actually diod not belong to them to strengthen the US dollar hegemony. Germany, Venezuela, Azerbaijan, Iran, Ecuador, Libya, Romania, Germany and Mexico are some of the countries that have made official requests to the US Feds to repatriate a significant quantity of their gold back to their own respective central banks. http://histclo.com/essay/war/ww2/eco/gold/w2e-gold.html [Accessed 3 July 2015]. https://furtherglory.wordpress.com/2012/05/09/what-happened-to-germanys-gold-after-world-war-ii/ [Accessed 3 July 2015].